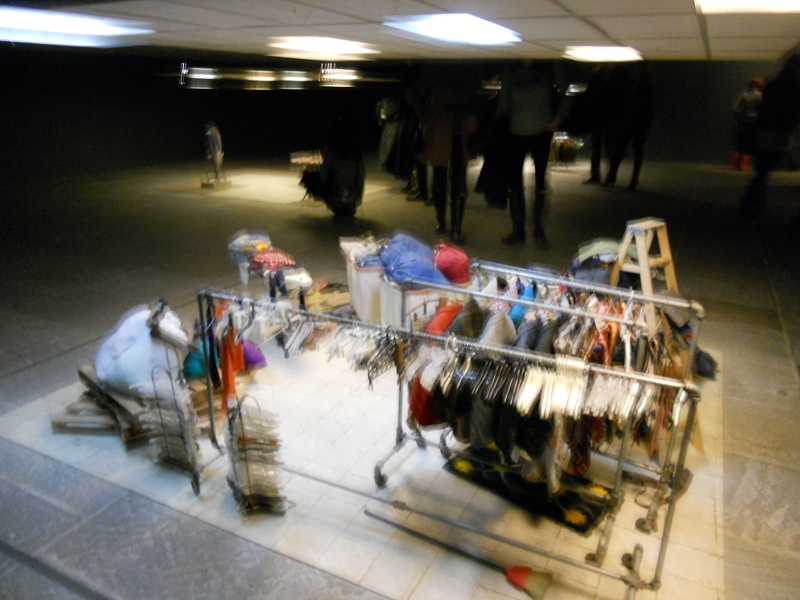 Charles LeDray installation titled workworkworkworkwork recreates a thrift store sorting facility and sales floor at a shrunken scale. The awkward perspective sets the viewer above the ceiling. This all encompassing eerie field of view makes the objects seem not like children or doll clothes but a sad real life Gulliver’s Travels. The remarkable part is that each piece of clothing is meticulously hand sewn, and each artifact from the garment bags to the hangers are all hand crafted.